The large analytical screening machines are designed for analyzing grain sizes above 40 mm to generate a sufficient material layer to achieve a representative screening analysis. For this purpose we have machines with sieve areas of 500 x 500 mm and 1000 x 1000 mm. The GAS is equipped with a maintenance free double eccenter motor which generates linear vibrations vertically to the screen surface. The amplitude can be infinitely adjusted by re-positioning the eccentric weights on the motor when the machine is not in operation. 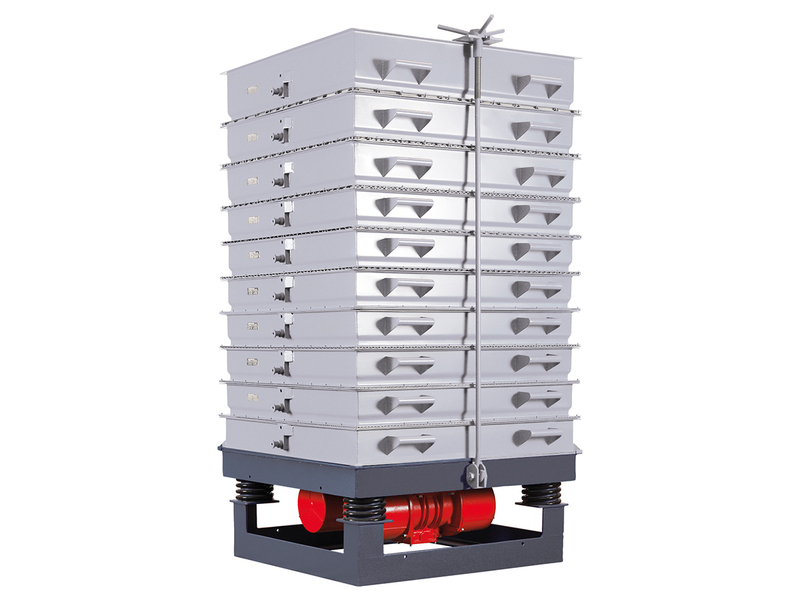 The test sieve set is rigidly held on the vibrating table by the tensioning device, which can also be supplied as a lifting and tilting device. 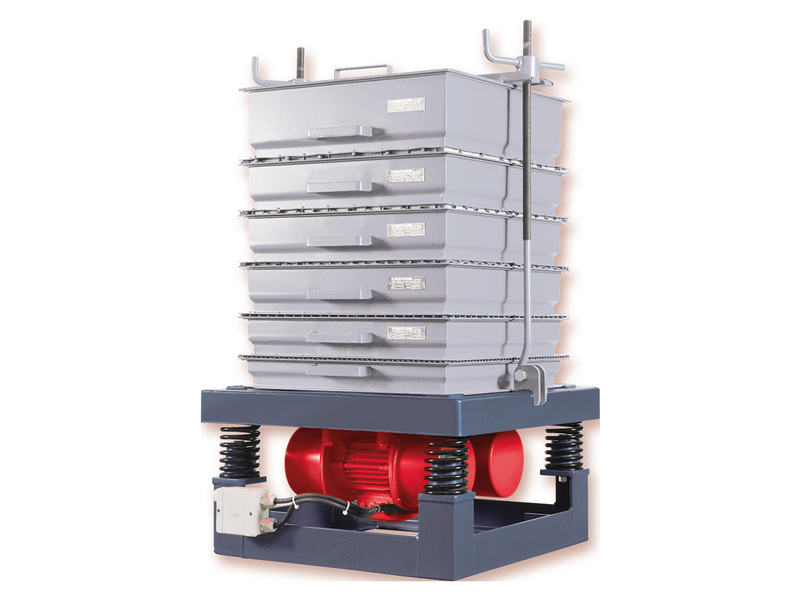 This lifting and tilting device makes emptying the test sieves easier as it can be lifted by a hoist and the lowest test sieve only requires tilting for emptying. GAS 500 and 1000 can be used as vibrating tables without the test sieve set.